I used Chairman Mao's 1949 speech where he named 64 people as the new leaders of the PRC. Few of them survived through the political reform movements such as the big leap forward in the 50's and the Cultural Revolution. The audience can only hear Chairman Mao scream his Communist colleague's name by placing the voting form into the box. This piece also raises questions. When/how can we trust the system (not only a political system but also the computer programming system). 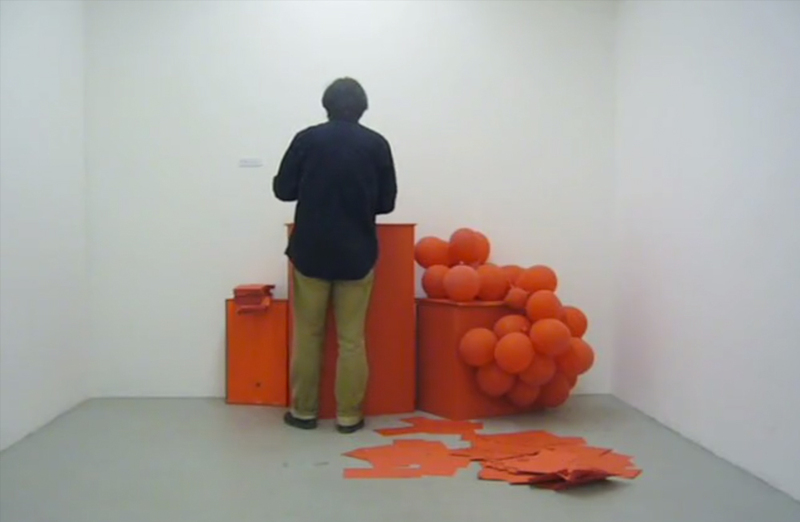 Does interactive art need an immediately feedback or reaction? © Copyright 2008. A film by Wenhua Shi. all right reserved.